If this sounds boring, you may want to use academic essay services and buy annotated bibliography to never worry about it (and all you have to do is contact Custom Writing). With a model annotated bibliography you can get yours written in no time! Bibliography entry = Author’s name + book title + short summary + the book’s impact on your work. Perhaps you think writing a bibliography is no big deal. It is a big deal and here’s why. Simply put, there are different types and formats in which to write a bibliography and you absolutely must know which ones you are required to utilize. Once you have this information, you can learn how to write a bibliography. But before we move on to any of that, you need to understand why you must include a bibliography in your assignment. The annotation style you will use depends on the instructions and requirements of your teacher/professor. Your bibliography may be composed with complete sentences or as phrases. Keep track of your research and retrieval of material. Evaluate the sources found and write down impressions and important ideas. Provide full citation data in accordance with a specific citation format, e.g. APA, MLA, Chicago. Write an annotation for each source. Make sure you’ve mentioned the author’s name. Make note of the book title and the year of publishing. Specify the main point—i.e., the subject of the book. Explain what the source has to do with your paper. Not only do you need to know why you must create a bibliography; you also need to understand the different types of bibliography so you can determine which is best for your assignment. There are two main types of bibliography. These include descriptive and critical. It is important to note that while you can use one or the other, it is common for a bibliography to include a combination of both types. Check out Saint Mary’s University for more information and examples of the two types of bibliography. And now it is time to learn how to write a bibliography. First, you need to know the general tips for writing a bibliography. These are universal tips or requirements used when writing a bibliography, regardless of the citation style used. Research and retrieve all required material. Evaluate each source found and write down impressions and important ideas. Write one or two sentences that describe the basic topic or question addressed by the source. Write one or two sentences that focus on the thesis of the assignment. Write one sentence that describes the methodology used by the author, including the types of sources utilized, whether the source is scholarly or a case study, and details regarding the organization of the source. For more information on how to create a bibliography, check out Trent University. When it comes to specific citation styles, the format for the bibliography will be slightly different, depending on the citation style you are required to use. Let’s take a look at each of the main citation styles to get a handle on some specific tips. You are required to use a hanging indent for the citation, which means the first line begins even with the left margin and all the lines that follow are to be indented four spaces from the left margin. The summary of the annotation is indented as a block of text two spaces further from the left margin than the subsequent lines of the citation. Linsey, M. (2000). New Age music. New York, NY: Marshall Cavendish. Linsey offers a blend of traditional ideas of New Age music and own perception. The book helped to understand the modern interpretation of the New Age culture. Bethel University provides a great sample APA annotated bibliography paper, should you require another annotated bibliography example. 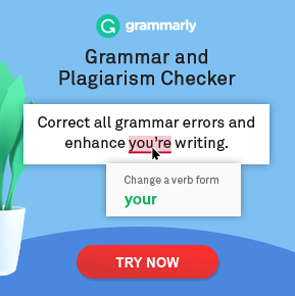 You are required to use a hanging indent for the citation, which means the first line must begin even with the left margin and all the lines that follow must be indented four spaces from the left margin. The entries of the bibliography are double-spaced. Johnson, Peter. Parrots. New York, NY: Routledge, 2012. Print. In his book Parrots, Johnson depicts the life and features of various parrot species. The given book allowed to compare and contrast different parrot breeds. For another MLA bibliography sample or additional APA style annotated bibliography examples, check out Simon Fraser University and Concordia University. Indent every summary paragraph with the use of the tab key. Place page numbers on the top right of the page, beginning with the first page after the title page. All entries for the reference list are required to be inputted with a hanging indent (to accomplish this in Microsoft Word 2010, you must select Format > Paragraph > Special > Hanging). A 1-inch (2.54 cm) margin is required all the way around each page. Utilize a font that is easy to read. Times New Roman is one such font. Carson, Craig G. 2007. The History of the USA. Washington, D. C.: Rowman & Littlefield Publishers, Inc. In his all-embracing work, Carson overviews the history of the nation, shedding some light on specific events. The book led to understanding the USA politics. You can check out Eastern Nazarene College for another example of an annotated bibliography in Chicago style. With all this information and an annotated bibliography sample for each main style, you are probably well on your way to writing a well-written, informative annotated bibliography to accompany your assignment. However, if you are still having trouble, you can check out this video on how to create your bibliography. Still uncertain about how to write annotated bibliography APA format or in any other format? Thanks for awesome tips for annotated bibliography writing! I appreciate your writing help! Your posts and tips help to cope with any types of papers assigned! Keep it up!